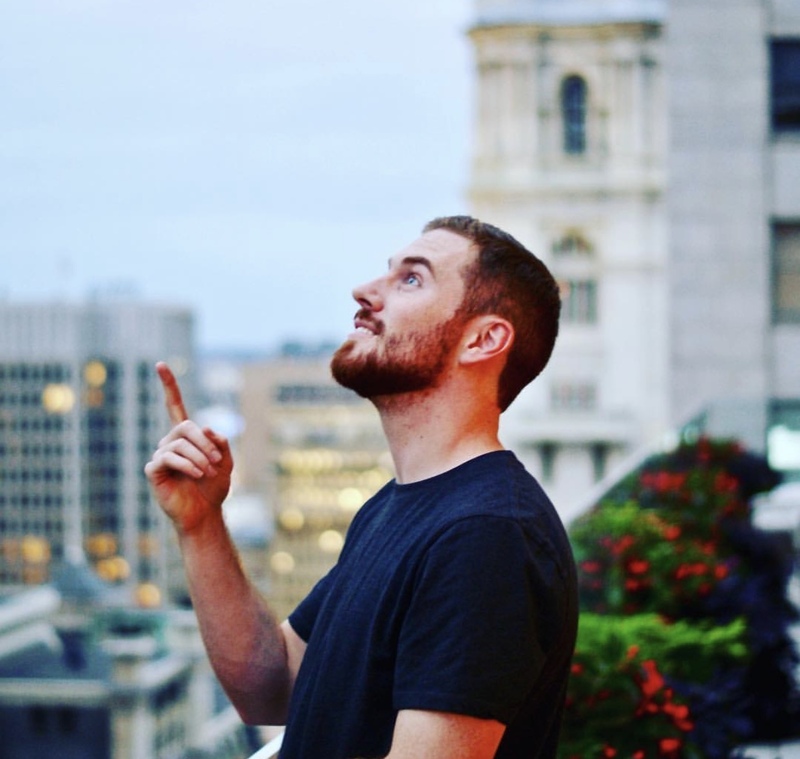 In 2016, we had a crazy idea. 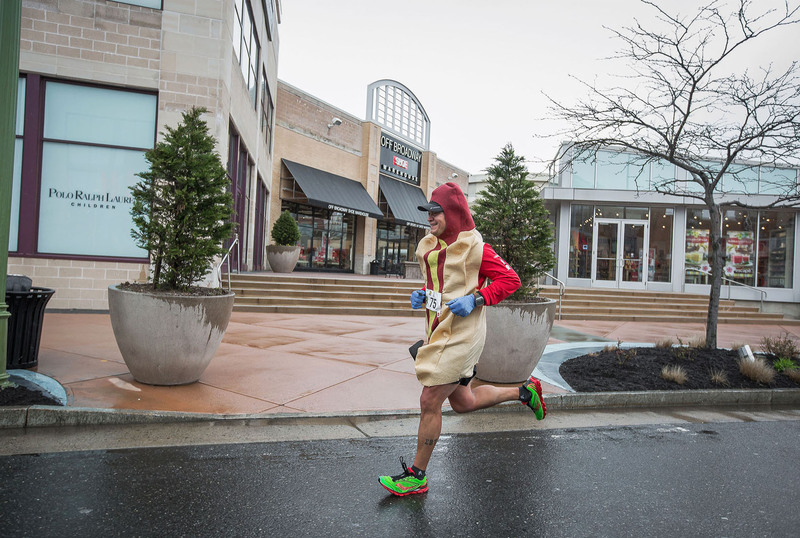 A 5K with flavor. Those flavors… BEER. 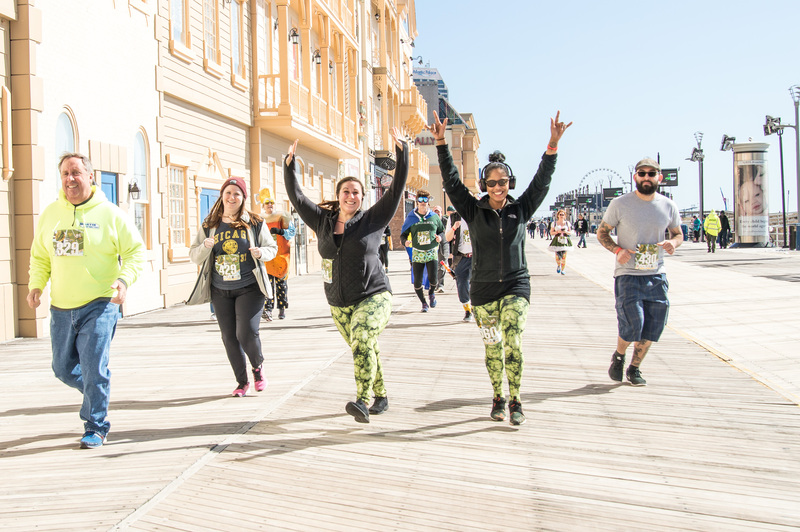 You will be passing stores, restaurants, landmarks, and even running along the world-famous Atlantic City Boardwalk. 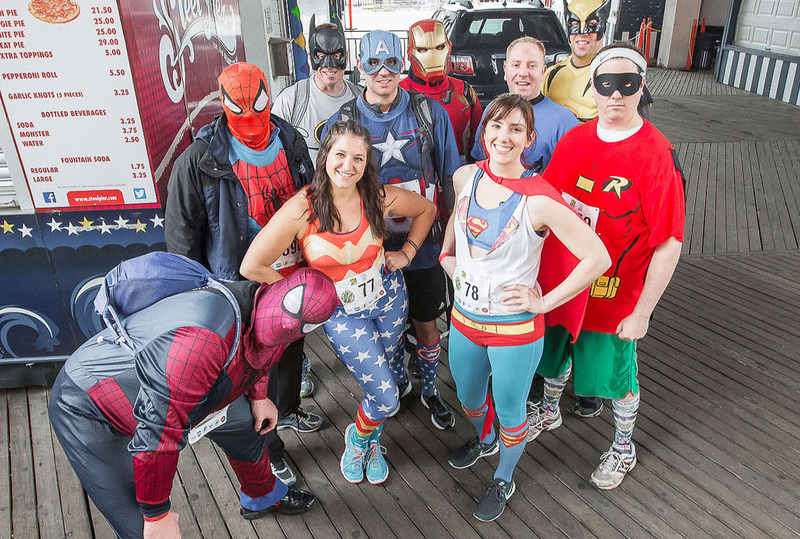 This is a social event and we encourage you to bring a running buddy or six. More people, more competition, and most of all... more FUN! 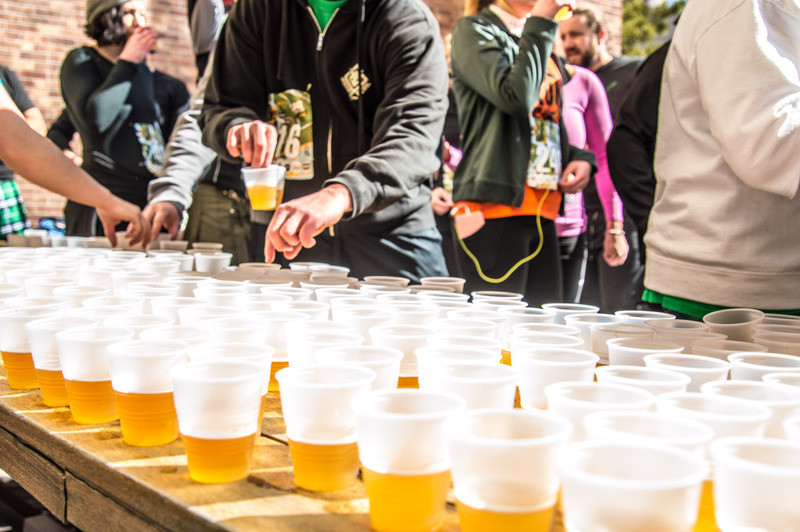 From down the street, to across the globe, nearly 200 breweries will be present, serving almost 1,000 beers for all to try. 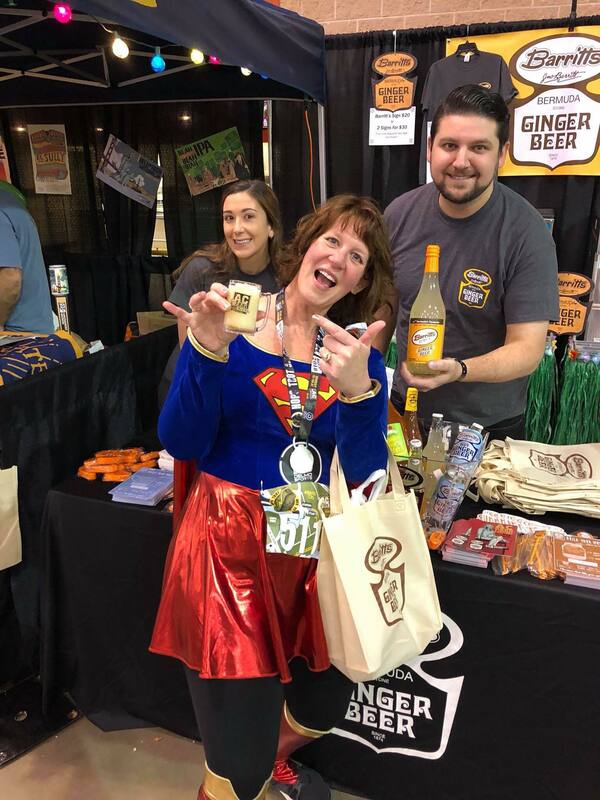 The goal of The Atlantic City Beer and Music Festival is to promote and educate attendees on craft beers as well as the brew masters that create them. 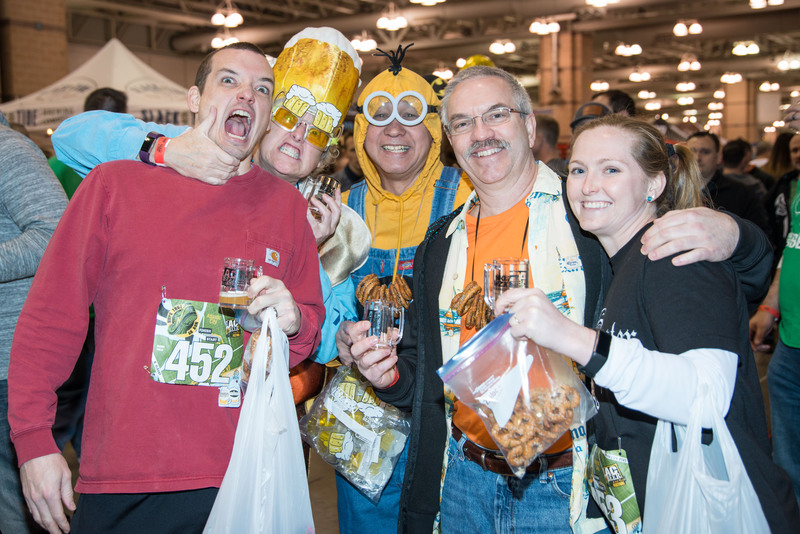 Visit www.acbeerfest.com for more information. 8 stops, 2 oz. 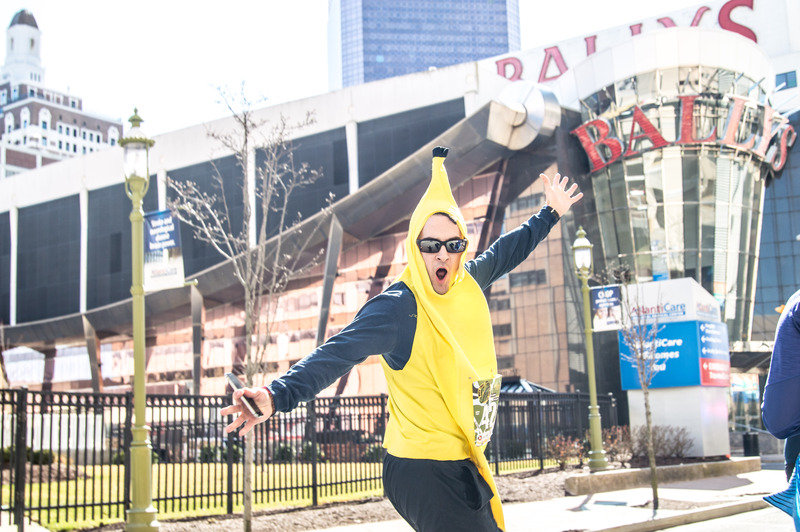 per stop, PACE yourself and you'll be hoppin' at the finish line. Beer #1: Marathon Brewing Co.
Beer #2: Stone Brewing Co.
Beer #3: Allagash Brewing Co.
Beer #6: Blue Point Brewing Co.
Beer #8: Marathon Brewing Co. Thanks for a great event! We had a blast. 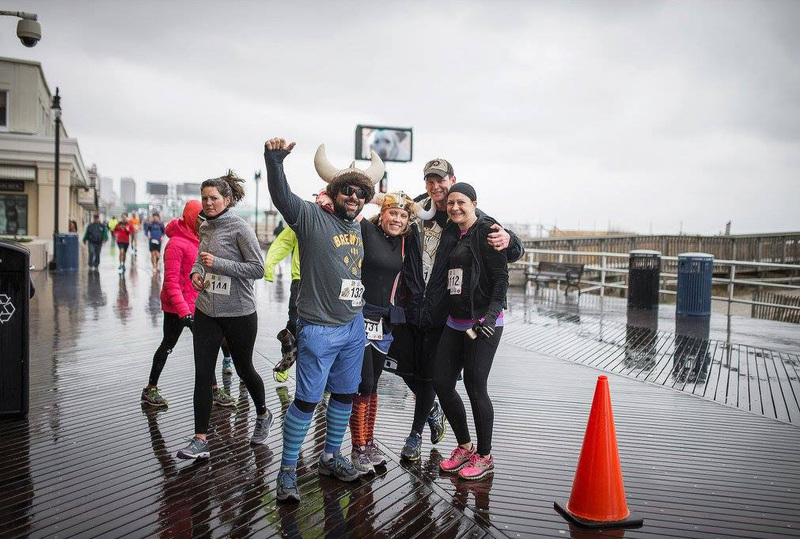 The Hops Trot 5K is by far one of the coolest experiences for a 5K you can have. 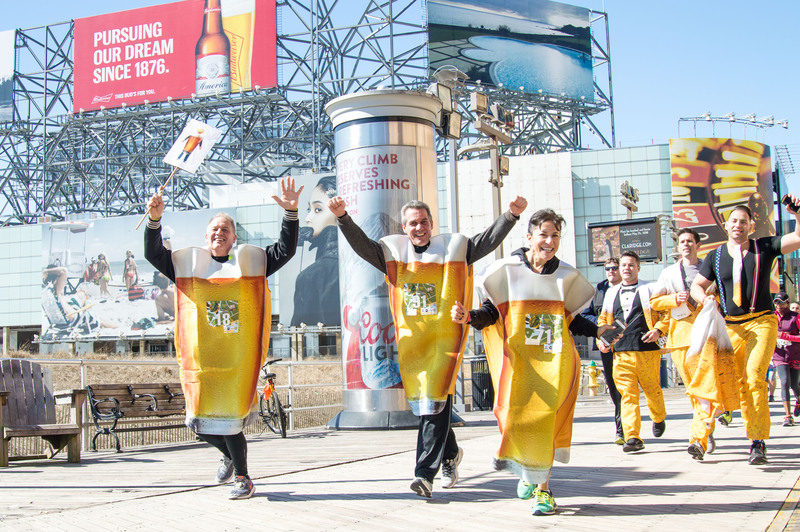 Running the Atlantic City Boardwalk with a thousand other people while shooting beers, wearing spandex and a blonde wig is by far up there in life achievements. 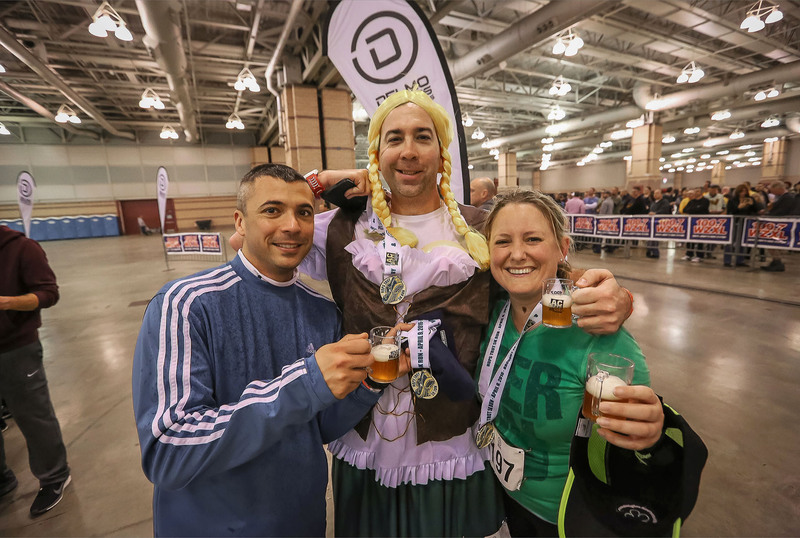 An included entry into the AC Beerfest is just an added bonus. DelMoSports always provides awesomeness. 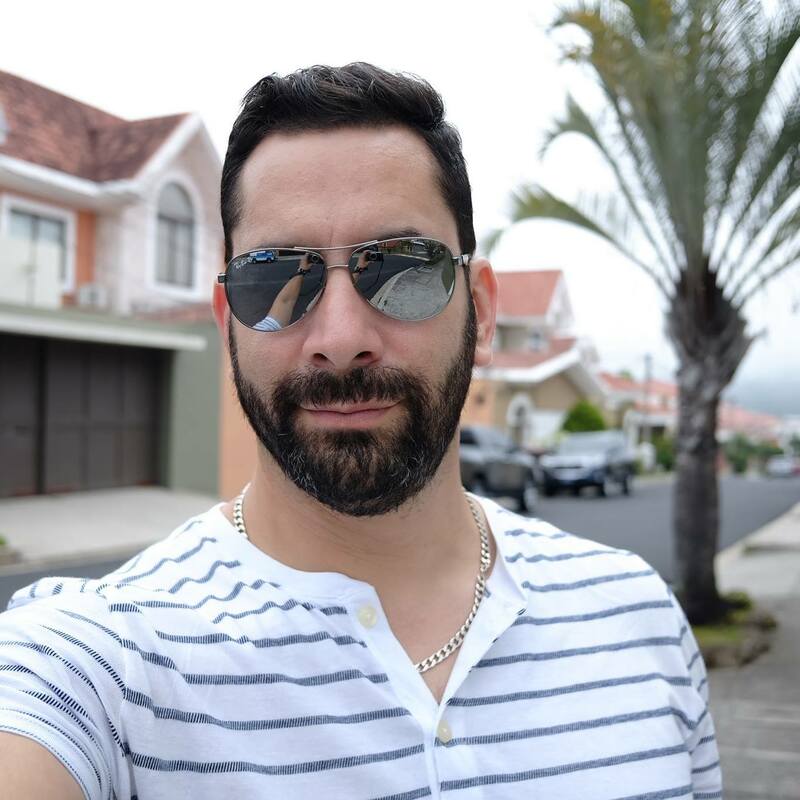 I've had a fantastic time communicating with DelMo. They have been attentive, they have answered every question and inquiry I had. 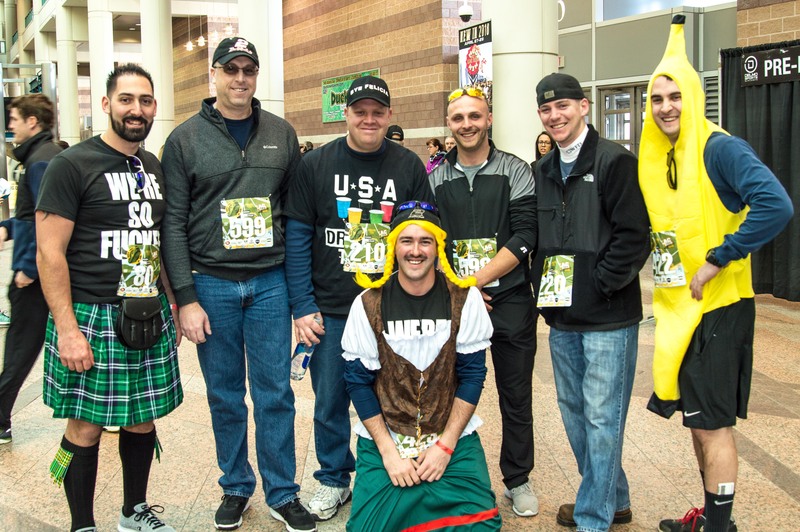 I always have a good time at the Hops Trot 5K, and plan on participating this year and upcoming years. Ok, ok... I have to admit - it wasn't so bad. 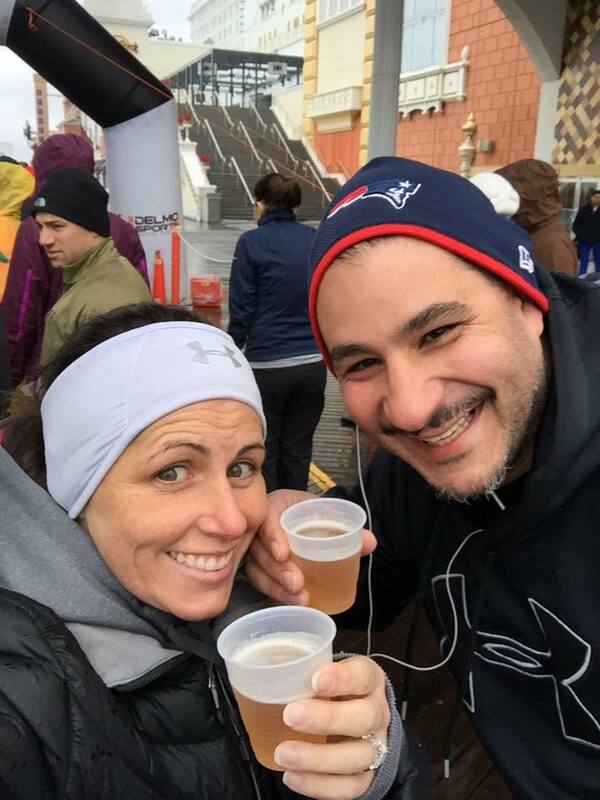 I got my exercise and he got my beer! 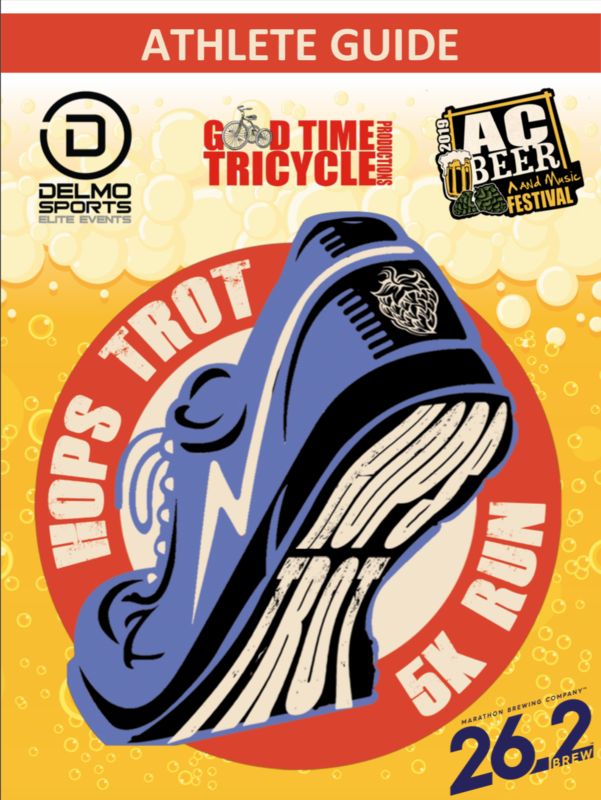 Fun event put on by Delmo Sports. 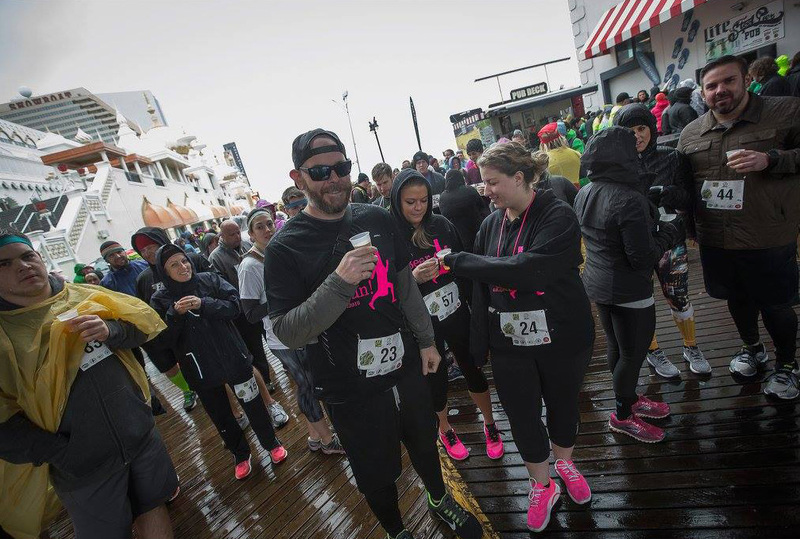 The weather was not the greatest, the boardwalk was a little slick, but we were careful and took some pictures to have memories of our run. 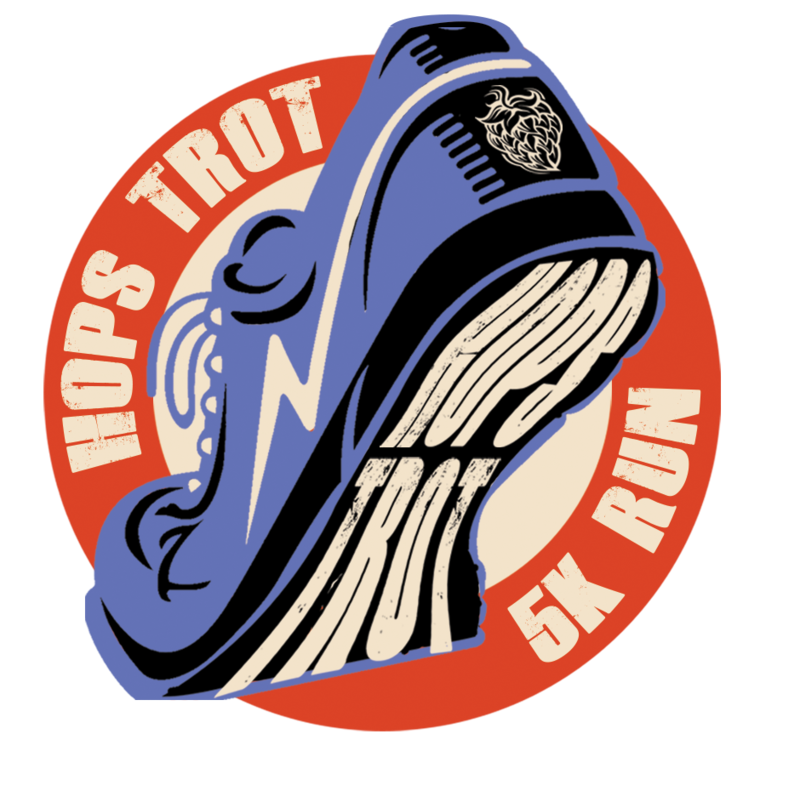 The Hops Trot 5K is a perfect balance of excersize and recreation. It has become a yearly tradition for me and my friends. Worth every penny! 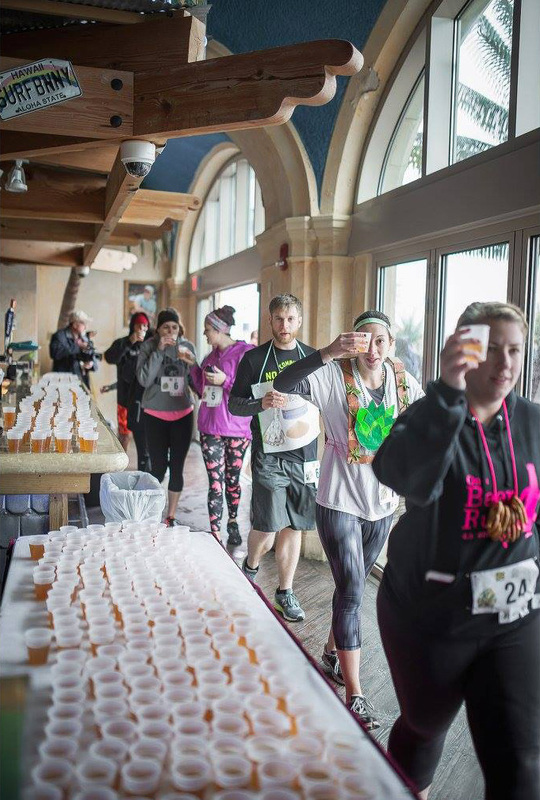 Who knew running and drinking beer every 1/4 mile could be so much fun. Best of all, we had early access to the Beer Fest so there were no lines to try our favorite brews and try some new things like throwing axes and getting the high score on the Ms. PAC-Man machine. 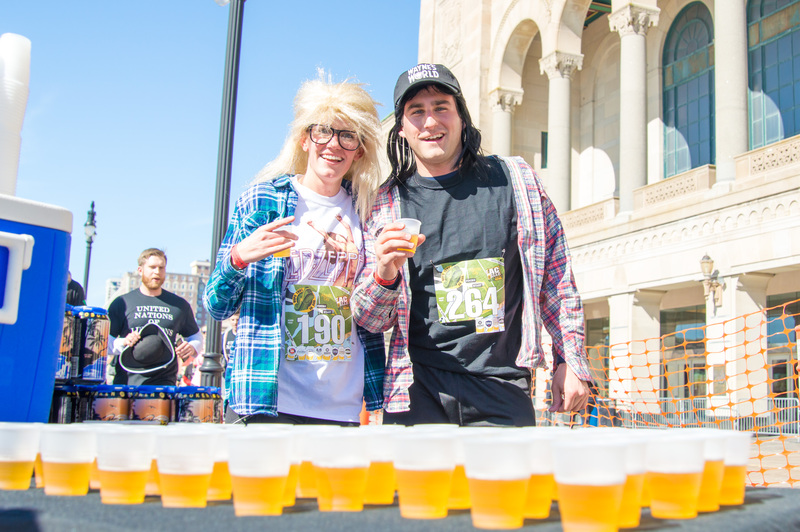 I raved about this event to all my friends (even the ones who don’t like beer) and told them to try Cider Beer because there was over 20 of them to try. I convinced them! 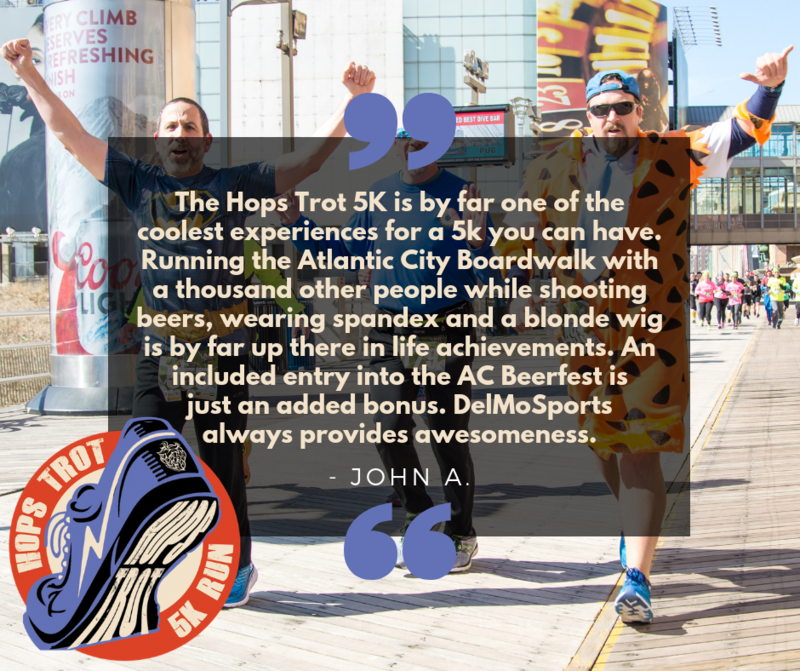 Looking forward to bringing a big crew this year to burn some calories at the Hops Trot and then be a part of one if the biggest Beer Fest Parties in Atlantic City. It’s the Best! 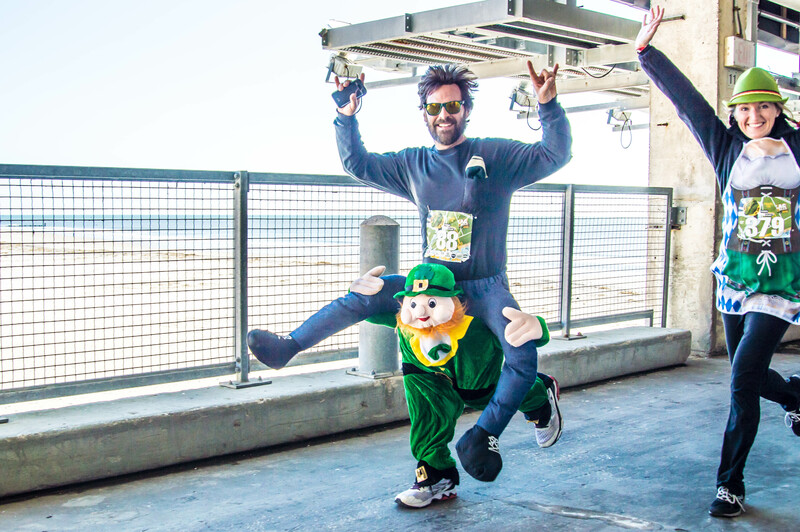 The Hops Trot 5K is an amazingly fun event. 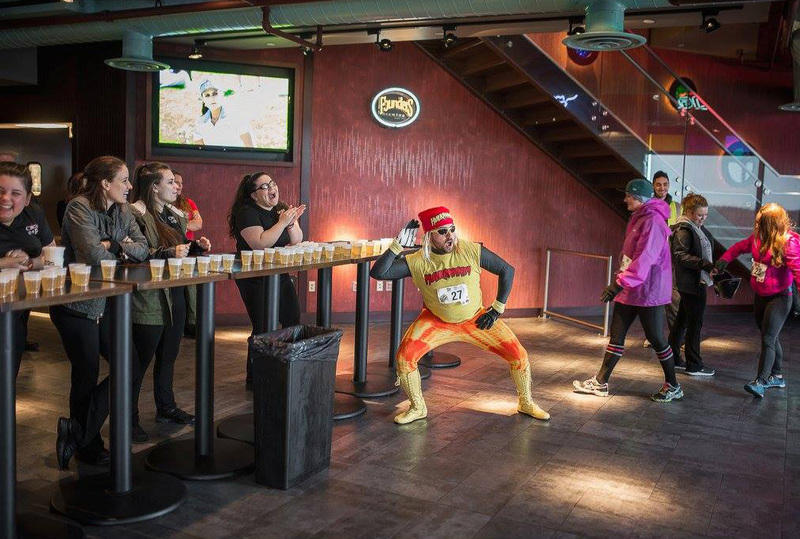 It is much more than just a 5K…it is a 5K with beer and costumes and more beer! 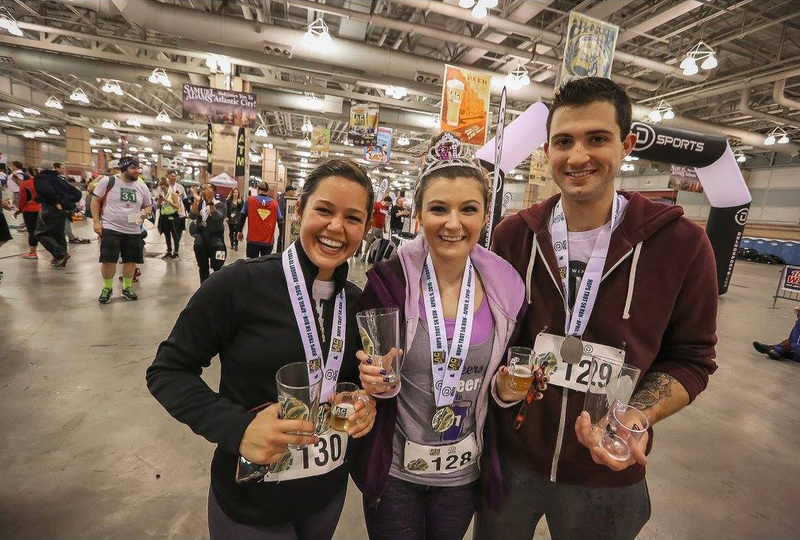 8 beer stops along the run and early entry into the AC Beer Festival… what more can you ask for in a race? This event is a must do! 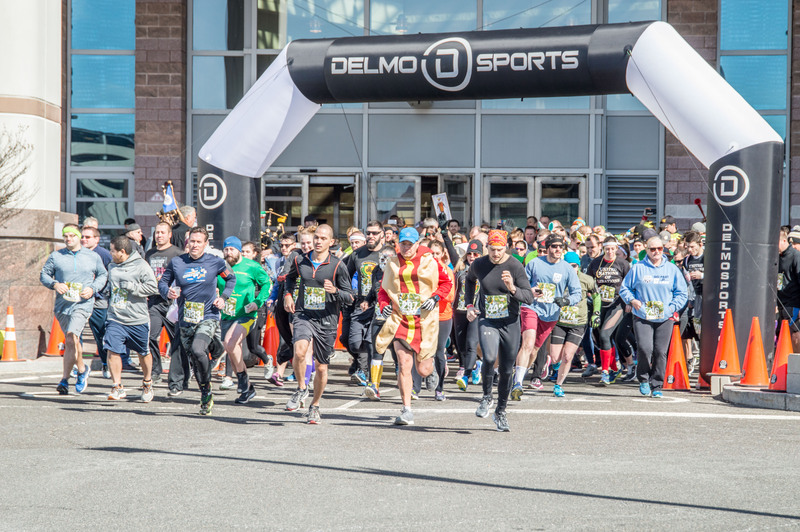 The DelMo team does a first class job…as always!! I’ve already purchased Session 2 of the Beer Fest. 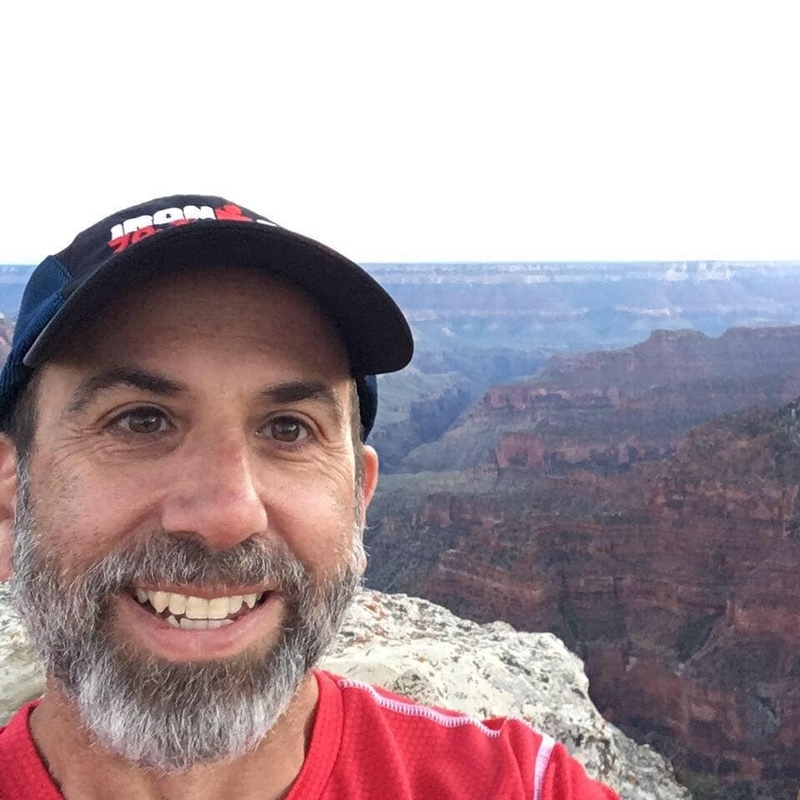 Am I able to participate in the 5K? Yes, please contact us here. The additional purchase is $35. I’ve already purchased either Session 1 or 3 of the Beer Fest. 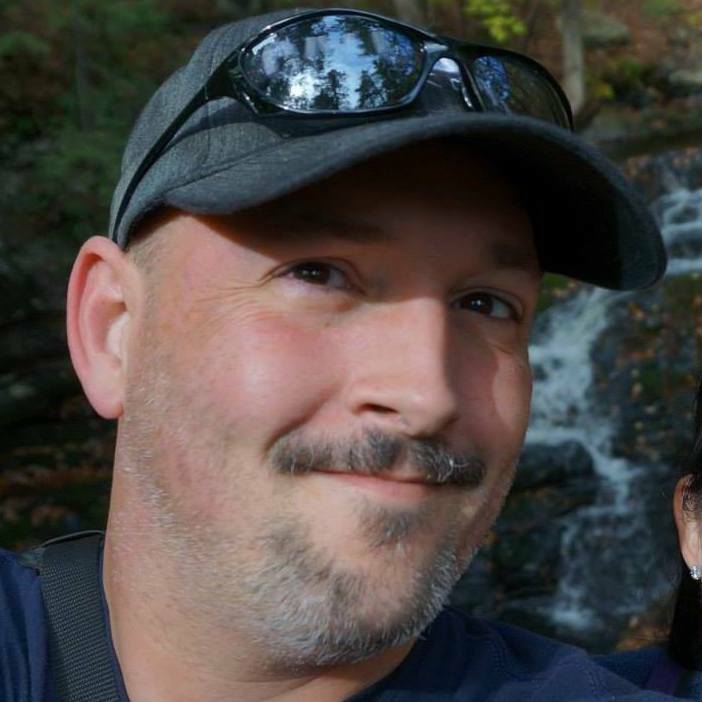 Am I able to participate in the 5K? No, in order to participate in the 5K, you MUST attend/purchase Session 2. 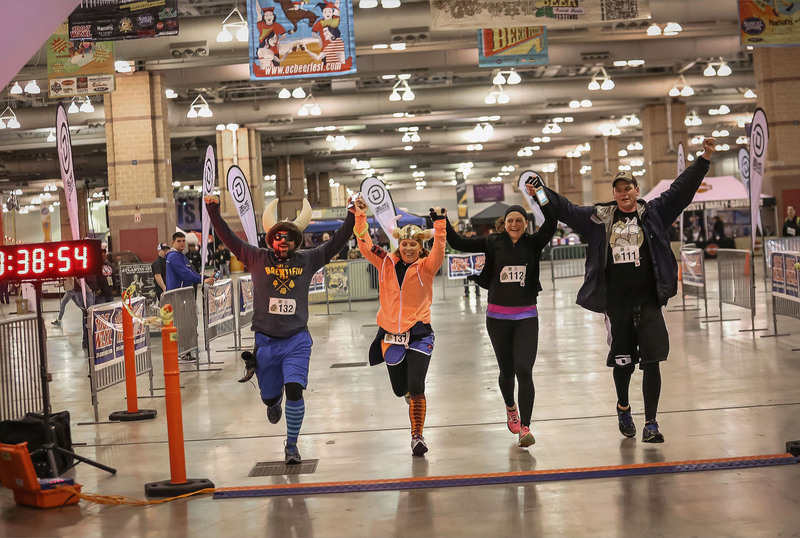 It is not possible to do just the 5K without attending/purchasing Session 2. YOU MUST BE 21 YEARS OLD! Will this event be timed? And where do I view my results? Yes, the event will be timed by NovaTiming Systems. Results can be viewed HERE. What BEER am I drinking? And how much am I expected to consume? 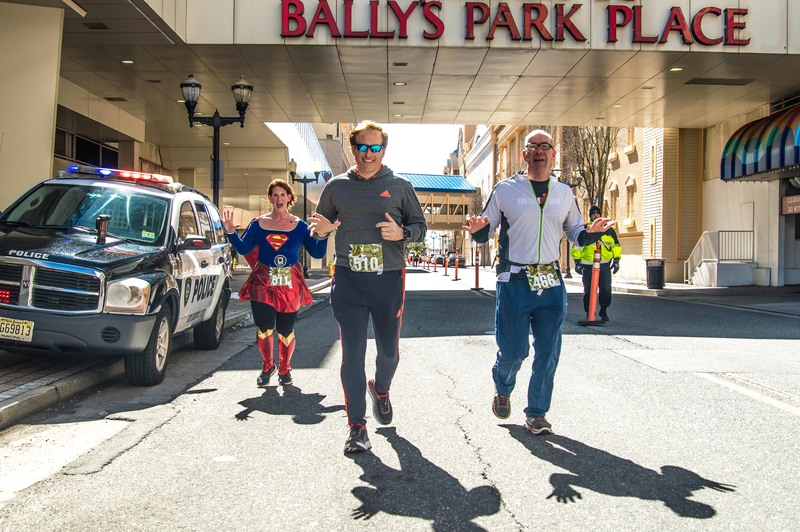 Athletes and spectators may park at The Atlantic City Convention Center, 1 Convention Blvd., Atlantic City, NJ 08401. Parking fees apply. Where is athlete check in? Pick up the pace. The cut-off time is at 11:30 AM. You've been warned! 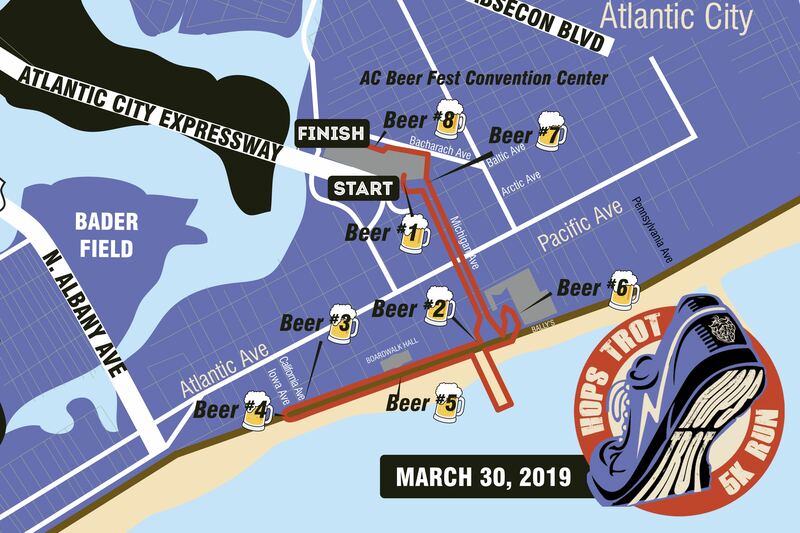 Entry into the Hops Trot 5K, a sweet finisher’s medal, a one of a kind Hops Trot pint glass, and the ability to finish inside the Atlantic City Convention Center kicking off Session 2 of the AC Beer & Music Festival. How can you beat that? This event has one category. 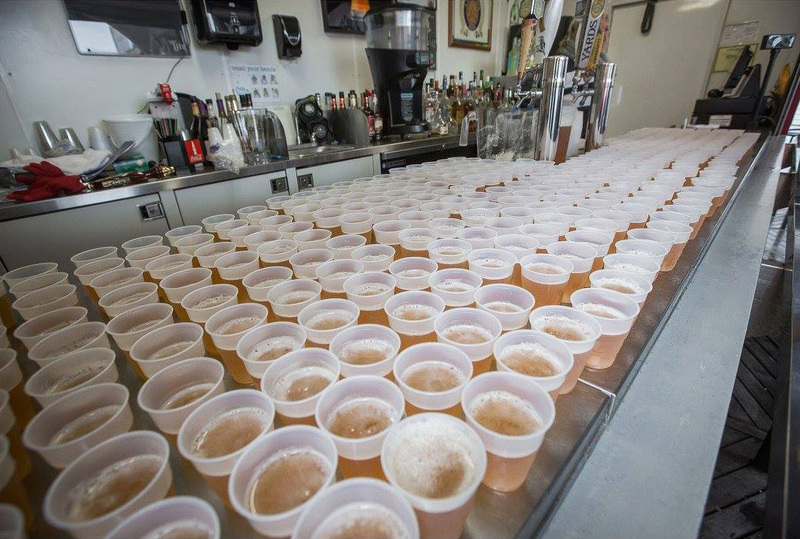 BEER DRINKERS ONLY! This event seems awesome! Where do I register? Please register by visiting HERE. Volunteer! 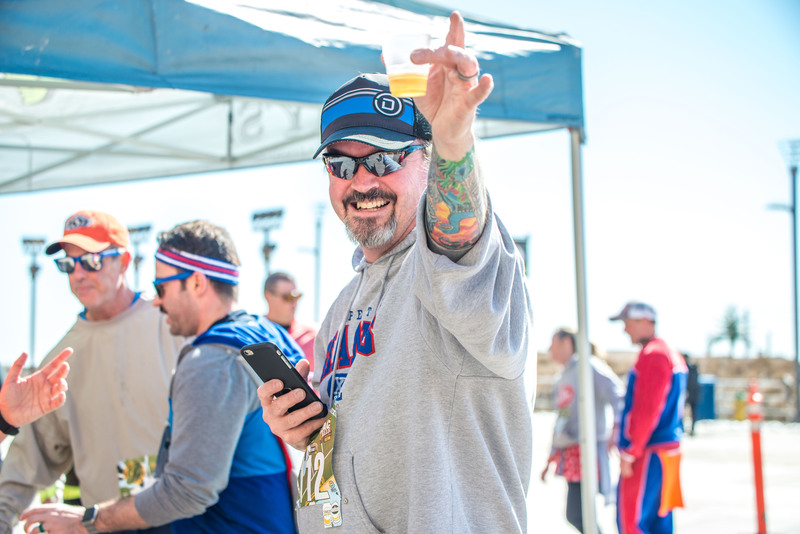 We are always looking for helpful volunteers at all of our events. For more information, click HERE. 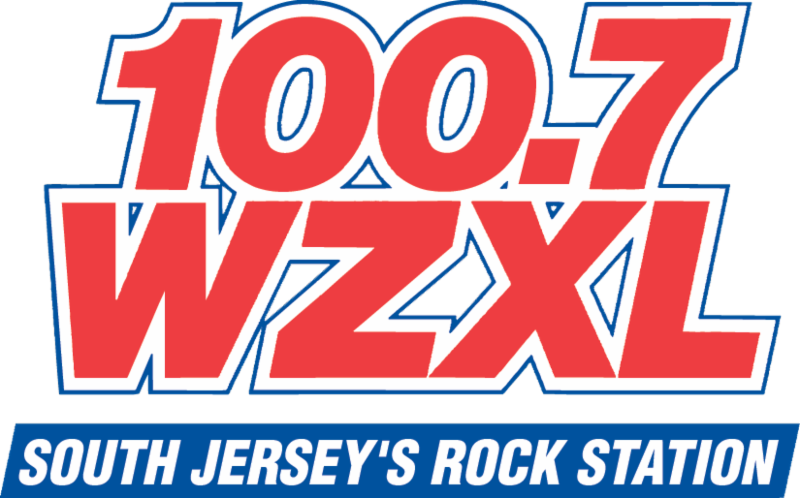 If reserving by phone, mention: ATLANTIC CITY BEER & MUSIC FESTIVAL. 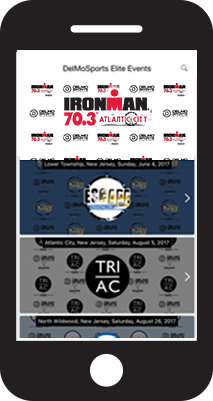 The Atlantic City Beer and Music Festival, LLC & DelMoSports, LLC offers Registration Protector through ACTIVE. 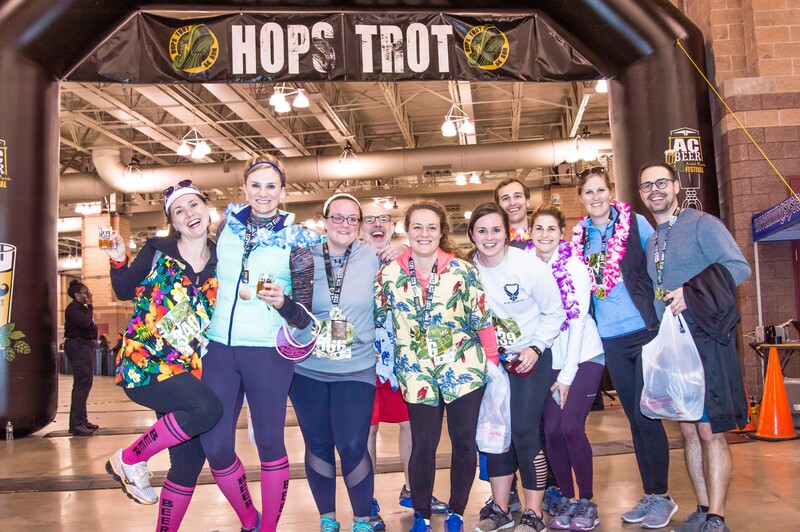 In the event that you register for the 2019 Hops Trot 5K and cannot participate, there are no refunds UNLESS you have purchased Registration Protector AND are in compliance with the terms and conditions. 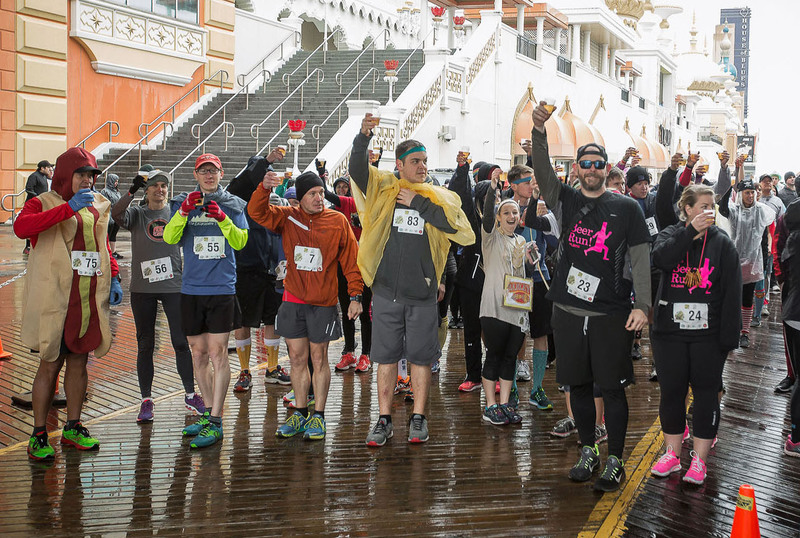 Additionally, refer to item 9 of the Atlantic City Beer and Music Festival, LLC & DelMoSports, LLC Waiver: I acknowledge and agree that Event Producer, in its sole discretion, may delay, modify, or cancel the Event for any reason, including if it believes the conditions on the race day are unsafe. In the event the Event is delayed, modified, or cancelled, including but not limited to acts of God or the elements (including without limitation, wind, rough water, rain, hail, hurricane, tornado, earthquake), acts of terrorism, fire, threatened or actual strike, labor difficulty, work stoppage, insurrection, war, public disaster, flood, unavoidable casualty, race course conditions, or any other cause beyond the control of Event Producer, there shall be no refund of entry fee or any other costs incurred in connection with the Event. 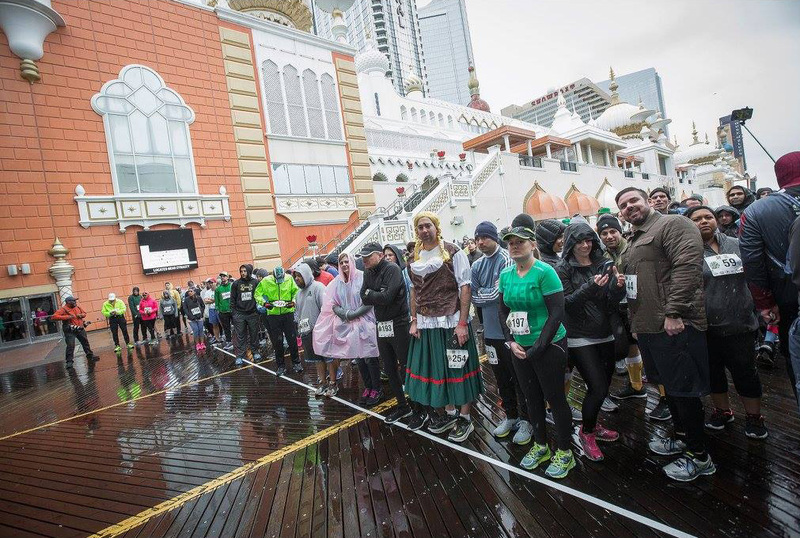 The Atlantic City Beer and Music Festival, LLC & DelMoSports, LLC does not allow for any deferrals. However, you may request a refund provided you have purchased Registration Protector. Please email us at info@delmosports.com for more information.